Sometimes I just want take a break from my big projects and goof off on little things. I blame pinterest for some of this: there are years' worth of exciting inspiration pieces to look at on any given evening. I don't know if any of mine will ever see the light of day as a finished product (or products) but it is super fun and I thought I'd share some of my latest "playtimes." Usually I get inspired by something and then have to go play with it in my crafting nook. My playtime got me these two fun little blocks: think I will retry with the thinner strips of solid color fabric next time, though I had lots of fun making these two. Then I got into a circle phase, which I am not out of yet, but have had to take breaks to work on some baby quilts. 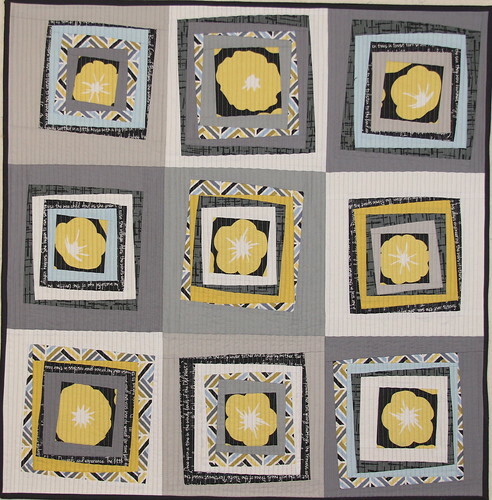 Wee Buttercup has a great quilt called dandelions going to seed? Got me going on designing a quilt (fabric has been selected, but not yet cut), but making a few test ideas before getting going. 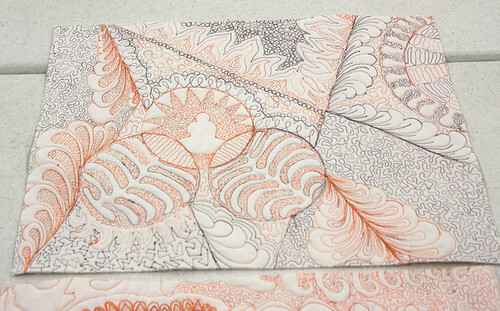 I am in love with this warm tone starburst variation, I have plans to make a quilt out of a bunch of these in different sizes and somehow getting them all onto one flat surface in some coherent manner. 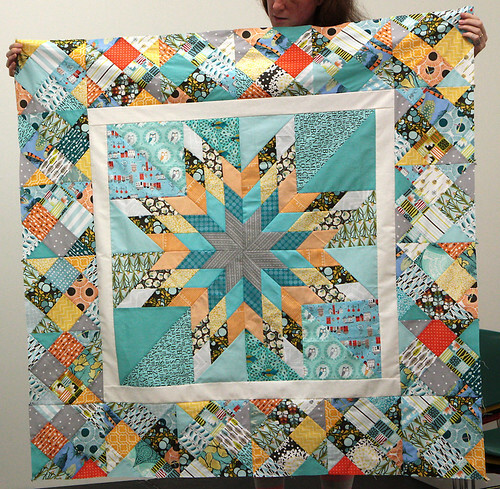 And then there are wonky frames, which I am in love with, but not patient enough to do in this gorgeous way, this is by A Quilting Jewel from the Madrona Road Challenge Flickr page. 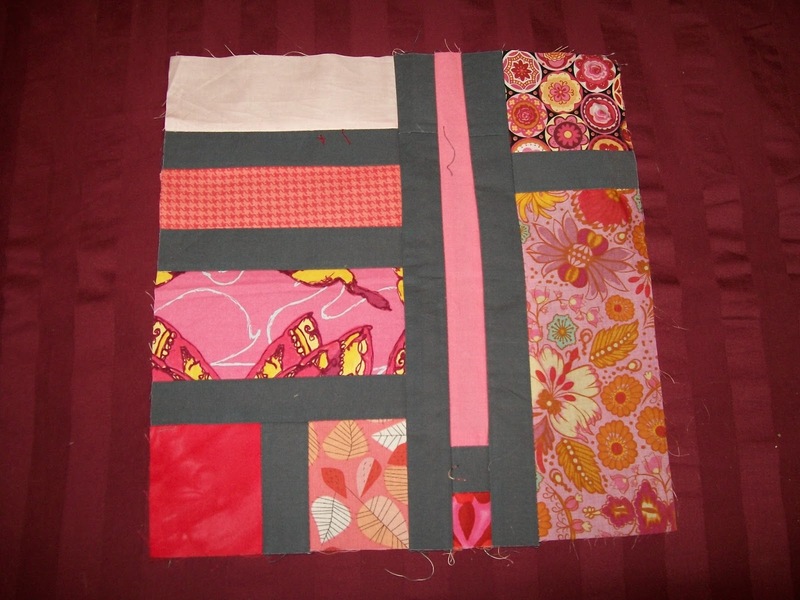 That got me playing around with a simplified version that did ultimately turn into some blocks for a quilt. They were as fun to make as I'd hoped for! Here's an early version, once I got the hang of it I kept going with a second layer of "framing". 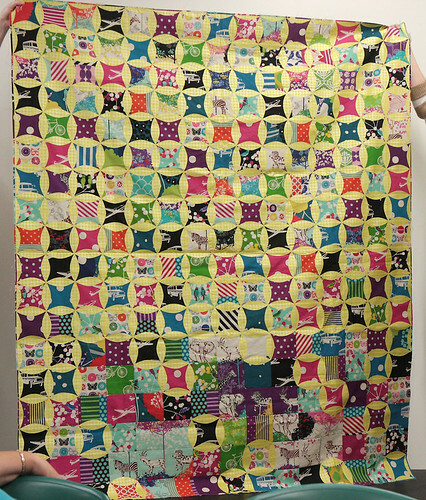 Super fun, though I got carried away and have enough framing already cut to make about 30 more blocks (I really thought I was going to make a whole quilt of wonky frames, but I got distracted by yet another project). I have no idea if having random blocks laying around with no project to go into is normal, but I figure at some point perhaps I will be inspired to make some kind of projects with them down the road. 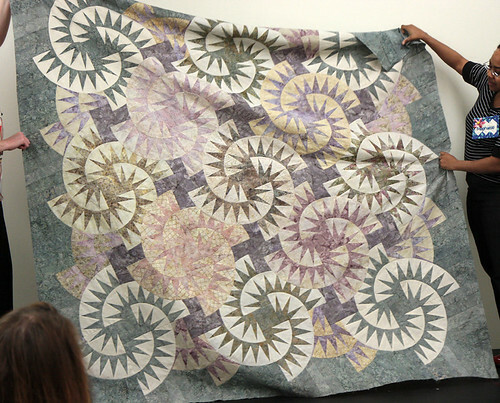 This quarter, the Saturday Series is all about quilting away from home. For example, things you could bring to or make for a retreat, sew-in, or other travelling; tips and tricks for packing; what kinds of projects work best; or even stories about past experiences. This post has moved! Check out the original post on how to make a portable ironing board at https://alittlecrispy.com/2016/09/portable-ironing-board/. 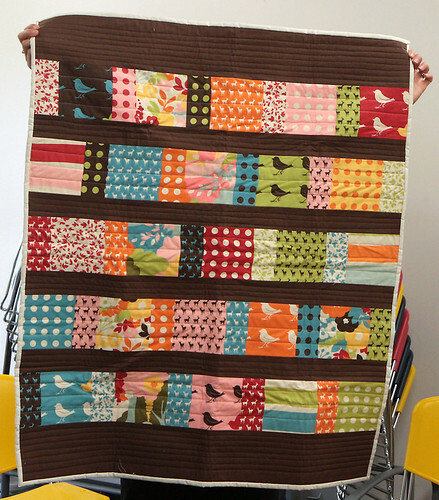 Our July meeting was held at our new location, the Textile Center. It was great to see so many of you in attendance and we hope that more people will join us in the coming months. 1. Since we have a group membership at the Textile Center, all paid MMQG member have access to the Textile Library, which we were given a tour of. We also received individual library cards that we can use to check out books from the library. They have a one month check out period and have quite a nice selection of books, magazines and videos. They also treated us to cookies and lemonade (Rebecca brought a LARGE! chocolate cake as well). 2. Our 10-Minute Tip was done by Stephanie this month and she showed us how to make hexagon templates of any size by folding a paper circle in a pretty simple way. It was quite impressive and I'm sure we will have more information as well as her printed instructions on the blog in the near future. 3. Name Tag Swap - finished up the swap and hopefully everyone should have a name tag by the next meeting. 4. Take It With You Challenge is due at the September meeting. 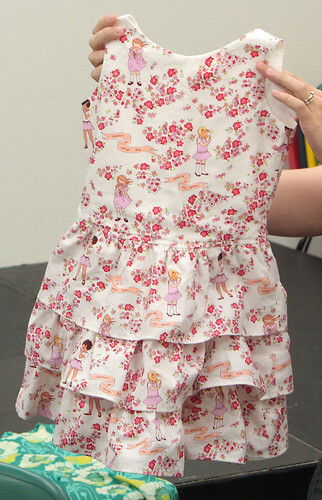 Remember, it just has to have some part of the finished piece that is hand sewn, embroidered, quilted, etc. 5. Quilt On A Stick (State Fair Challenge) is due by the August meeting. 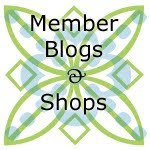 Review Lisa's recent blog post to find out all the information and additional links on this challenge. 6. Block Lotto Drawing - Chris C. was the winner this month. Be sure to watch Facebook and the blog for the next Lotto Block selection, tutorial and information. 7. 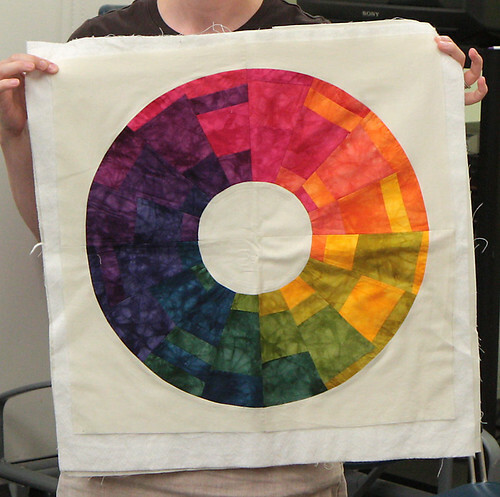 Minnesota Contemporary Quilters is having their fall retreat September 6-9, 2013 at Camp Wapo and have again extended an invitation to all of us. The cost is $145 for 2 nights and $160 for 3 nights. 8. We are also hosting our own retreat which is scheduled for November 22-24, 2013 at Camp Wapo. A few of our members went to the MN Contemporary Quilters spring retreat and had such a great time, we decided to plan our own. Here is the blog post on the retreat with more information and the sign up form. We thought that hosting this retreat in late November would either help some of us start our holiday gift sewing or better yet, finish it. Please plan on joining us -- the more the merrier! 9. We had another successful Two-Bit Bag turn out with lots of great prizes. Thanks again to everyone who donated a prize as well as everyone who bought tickets. 10. Our next meeting is scheduled for Thursday, August 8th -- mark your calendars. 11. And as usual, Show and Tell was the show-stopper. Thanks to everyone for bringing in their work and showing it off. The pattern is selected. 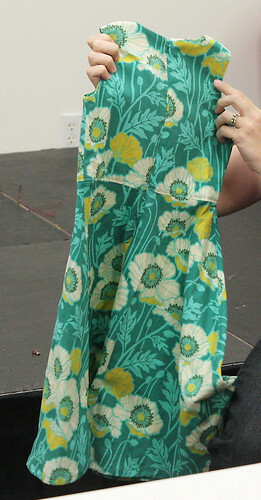 The fabric is purchased or rescued from the stash. The pieces are cut. 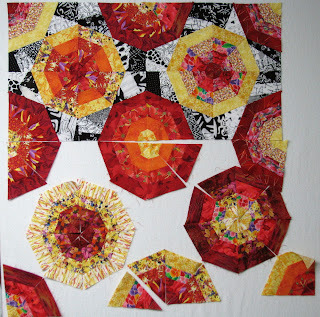 The pieces are sewn together. The backing and batting are prepared. 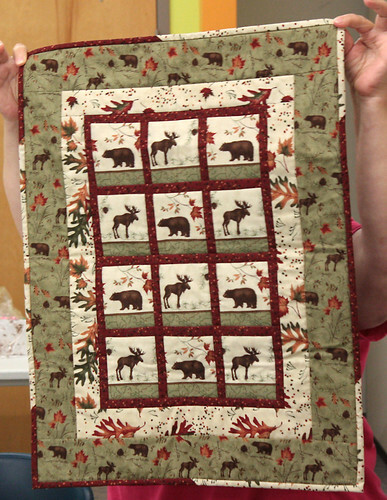 The beautiful top, the batting, and the backing are layered and quilted. Now for the last step - the binding. Over the years I have struggled with sewing the binding strips together. But of late I have been very happy with the whole binding process because of 3 rulers/tools that I now use for them. The first you'll readily recognize. It is the 2 1/2" x 12" ruler. It is perfect for cutting bindings. Depending upon what I am making, my binding will either be 2 1/2" or 2 1/4". I find it easy to line up without having to over think the placement of the ruler. Cutting binding strips goes quickly with this ruler. The next step is to piece all of the binding strips together. In the past I would always use the less than perfect "let's just eyeball it" method. All too often my eyeballs played tricks on me and my joined binding strips would be a bit whacky to say the least. 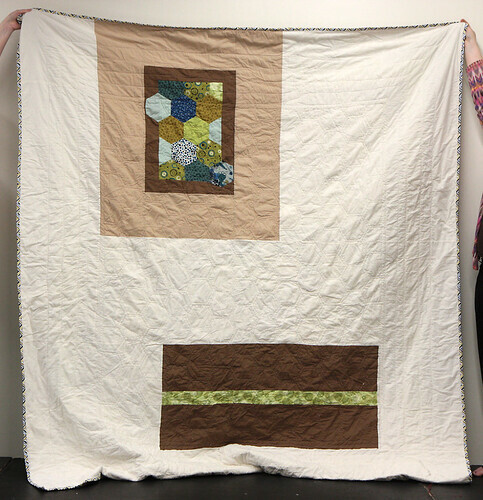 My latest find is the "Folded Corner Clipper" template by PrairieSkyQuilting . The template can be used to make a variety of blocks in addition to being a fantastic tool for biding. This photograph shows the binding pieces and the ruler lined up. This is a 2 1/4" binding so you'll notice that the binding is lined up at 2 1/4" marks on the template. You end up with the perfect 1/4" seam for your binding seams - see the arrows below for the starting and ending points. So now instead of using my less than trustworthy eyeballs to figure out where to sew the seam, I use the starting and ending points along with my 1/4" foot to make perfect seams everytime for my binding. 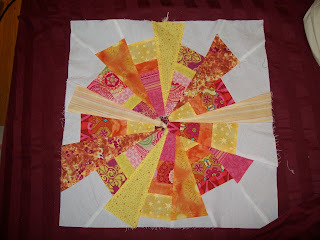 After the binding strips are all sewn together, press them, and then sew onto the quilt. Sewing the beginning and ending tails together is the last step. For this I use the Fons & Porter Binding Tool. In this photo, the tool is placed on one of the tails for the appropriate binding width - 2 1/4" in this case. Then bring the the other binding tail over the tool and cut it even with the bottom of the tool. This gives you the perfect length for attaching the beginning and ending tails of the binding. 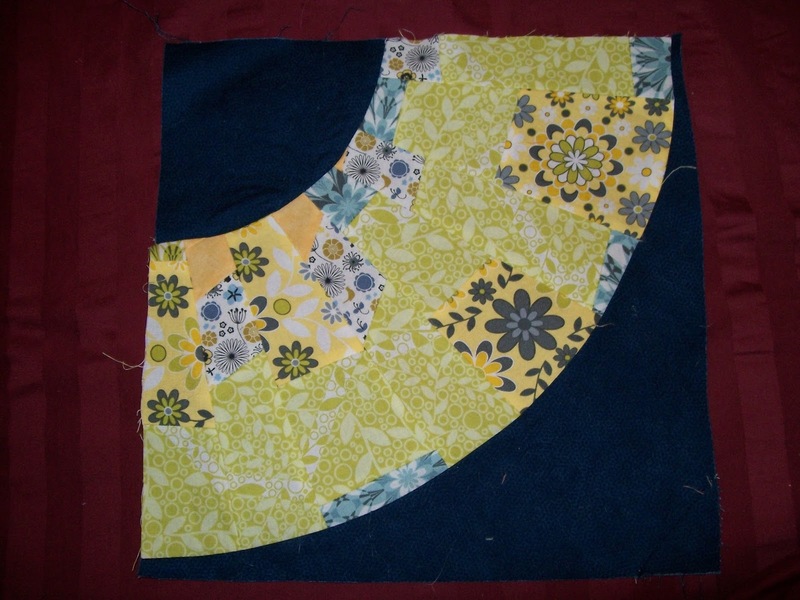 Draw a diagonal line from corner to corner, sew, trim, and finish sewing the binding to the quilt. 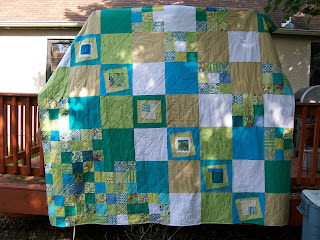 All that is left is to hand or machine stitch the binding to the quilt. 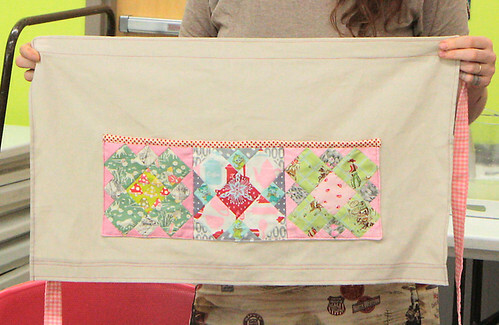 Here are two photos of the finished binding where it has been pieced togehter. 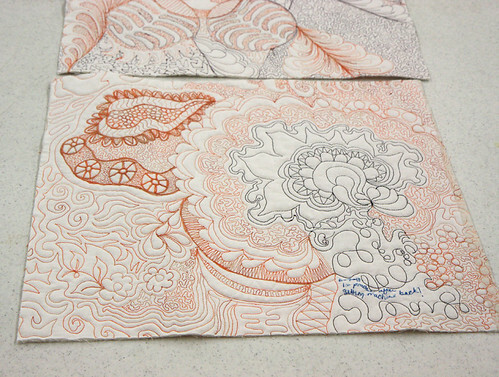 Which one was made with the Folder Corner Clipper Template and which one was made with the Fons & Porter Binding Tool? Bindings are so much more fun these days now that I have found these 3 tools - the 2 1/2" x 12" ruler, the Folded Corner Template, and the Fons & Porter Binding Tool! Happy Binding! 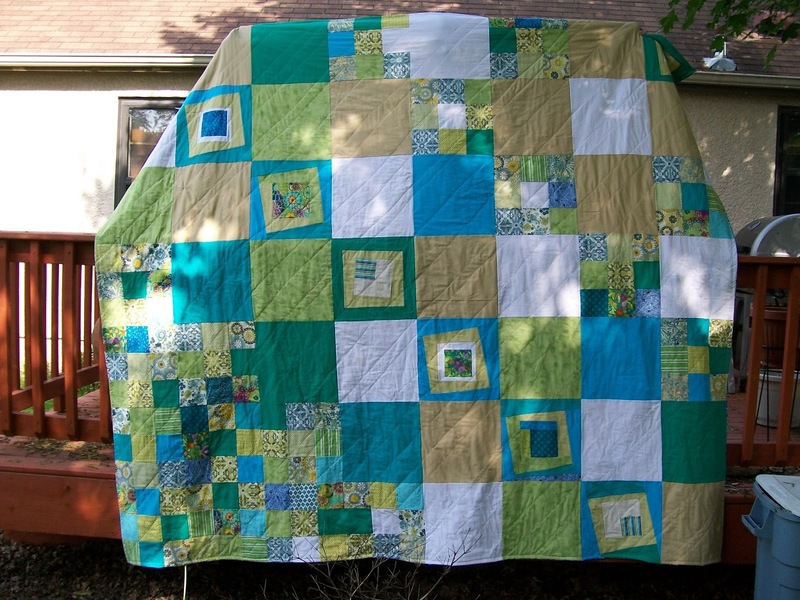 In the midst of Minneapolis summer I find that quilting and sewing take a back seat to other activities like gardening, camping, and spending as much time outdoors as possible. This week I thought I would work on the design side of quilting to have some plans and ideas ready for next fall and the long, cold winter. 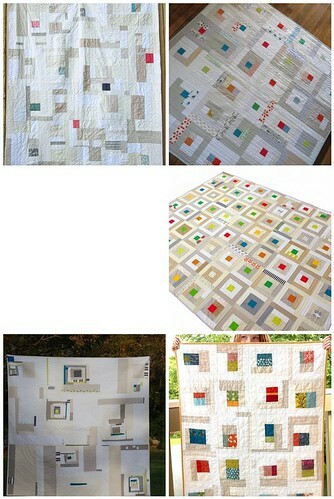 My first instinct when deciding on a quilt or pattern is to look at books and the internet. We all know how much time can be spent searching Pinterest and our favorite blogs to see what others are making but lately I have been taking a different approach for palette and design inspiration. Great pavement markings on the bike path. I love this color block on the door. How about this wonky swirl for a quilting design? This graffiti mural is a modern take on a traditional Native American motif. 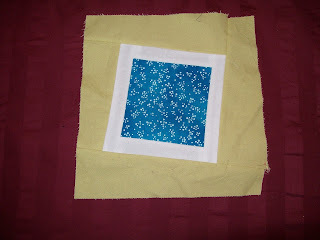 It is also ready made for a quilt block. And speaking of graffiti, that reminds me of some of my favorite urban design photos: Buff marks. The term 'buffing' is used to describe painting over or covering up any unwanted graffiti and it is frequently done in a paint that doesn't quite match, resulting in artistic layering of blocks of neutrals. While we all pass by this sort of thing regularly, once it is framed in a camera or phone snapshot it becomes a subtle design sketch reminiscent of a minimal modern quilt or quick composition idea for a modern quilt back. And here are a few photos of palette ideas. The plate stack reminds me of Aneela Hoey's fabrics. Jamie's bird rides on his bike! And here is a photo of my coworker's bird because I thought it was a neat shot. My conclusion is that there are fresh, original design ideas all around me and I need to get outside more and seek them out instead of staring at a computer screen all summer. Thanks for following along! 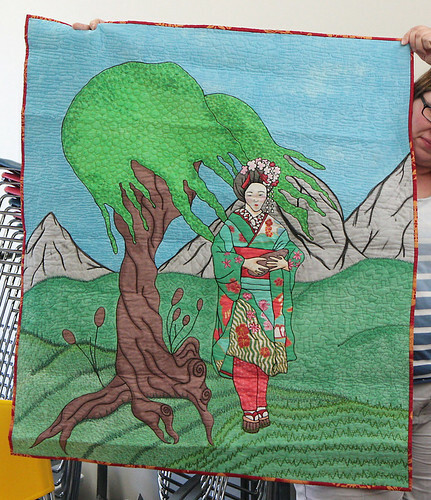 Last year a few of us entered quilts at the fair. While none of us won any big prizes, we did make our mark on the more traditional atmosphere of the fair. 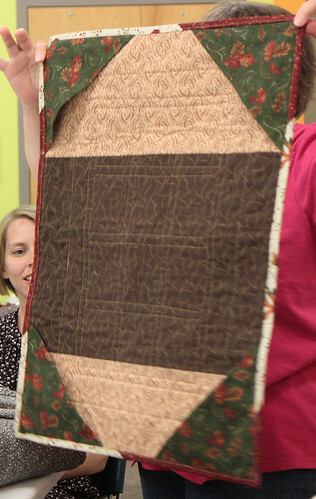 So much so, that this year there is a special prize specifically for a quilt in a "modern style" This prize is sponsored by Rosebud's Cottage in White Bear Lake. 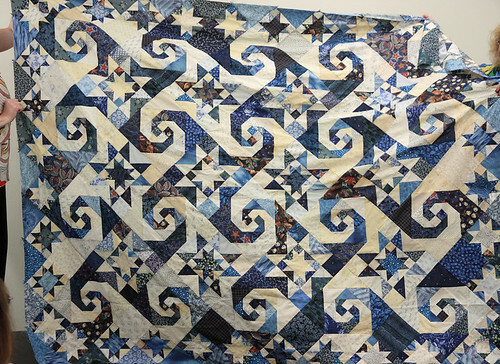 We would like to encourage all of our members to enter at least one quilt in the fair. The process is easy and the feedback from the judges can be very helpful. There are many categories to choose from. 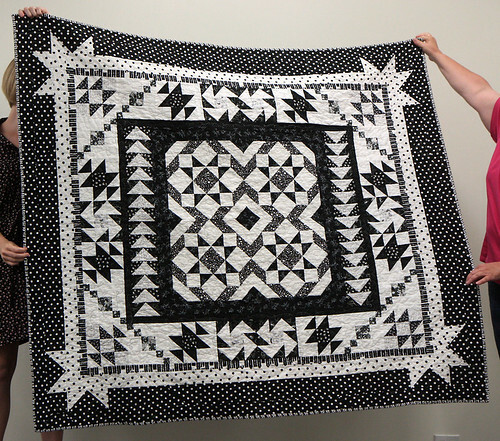 If you have a quilt that you want to enter, you can easily find a category that it fits into in the Rules & Premiums guide. Online registration has already begun and will continue until August 6. After registering your entries online they can be dropped off at the creative activities building beginning Aug. 11 until Aug.14. Be sure to mention in your registration that you would like to be considered for SP237 (modern style) in addition to the regular category that it falls in. 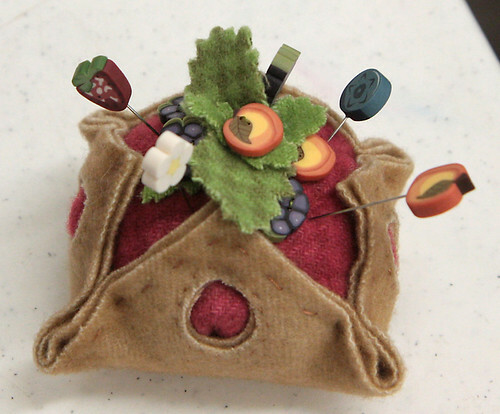 We also thought it would be fun to challenge all of our members to enter a quilt-on-a-stick. 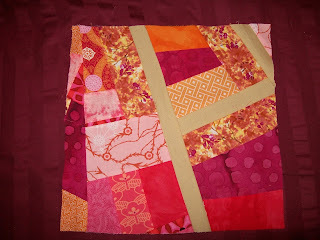 This is a fun mini-quilt category with a different theme every year. This year's theme is Tattoo and Body Adornment at the Fair. 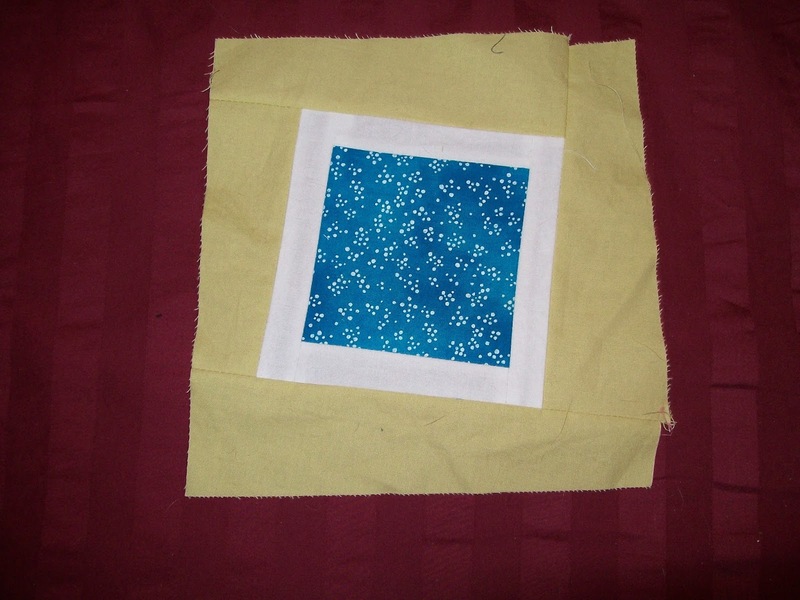 The quilt must be a rectangle that is 8" wide and 9" high with a centered vertical sleeve on the back in which a paint stick can be inserted. You can find much more detailed information on the Creative Activites Page.